Element A is an introduction into the compulsory basic training (CBT) course. This first element will involve an eyesight test and a discussion about the course. This discussion will involve the trainer providing an overview of all 5 elements involved in CBT, why it is necessary and that all elements must be satisfactorily completed before you’ll be entitled to become a learner rider. Element A will specifically involve a discussion of legal vehicle requirements, legal safety equipment and clothes. By the end of element A, you should understand why CBT for motorcycles is necessary and also what’s involved in all 5 elements. The time it takes to complete element A is approximately 30 minutes although this is dependent on the speed at which candidates progress to a satisfactory standard. The trainer will not push you into meeting any time constraints. The trainer will need to see your provisional driving licence before the course can continue. You may if you wish take along your own motorcycle or moped if you prefer and you must ensure that you have appropriate insurance, that it’s taxed and has a valid MOT (if applicable). You’ll also need to ensure you have L plates fitted, front and rear. If you intend on taking your own motorcycle or moped, please ensure you take along any legal documentation with you as this will be checked. Alternatively, you may hire a motorcycle from the training establishment and in which case, the vehicle legalities will be taken care of and you’ll only need to produce your driving licence. Shortly after the introductions of element A, the trainer will conduct a simple eyesight test. You need to show that your eyesight will meet the minimum legal requirements. Ensure if you wear any visual aids such as contact lenses or glasses that you take them with you and wear them for the remainder of the course. If you are unable to demonstrate that your eyesight meets the minimum legal requirements, you will be unable to continue the CBT course. 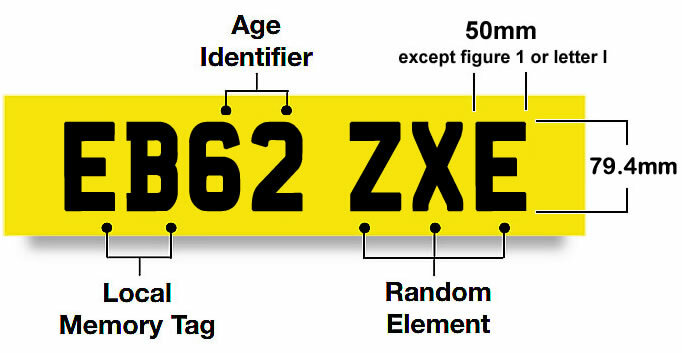 The eyesight test will involve you needing to read a UK number plate with visual aids (if applicable), in good daylight at a distance of 20 metres (66 feet). 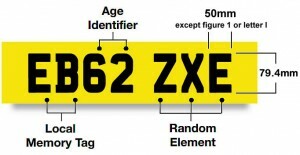 Number plate font size is 79.4 mm (3.1 inches) on new-style plates. The letters and numbers on older-style plates have a wider font and will require you needing to read them from a distance of 20.5 metres (67 feet). CBT element A will also include a discussion of the appropriate cloths to wear as a motorcycle rider. Many who attend compulsory basic training will not have a vehicle or be kitted out with appropriate clothing. Your trainer will discuss with you the different types of clothing suitable for riding, how they help to protect you in the event of an accident and how hot and cold conditions can affect a rider. You will be able to hire a motorcycle, moped and safety helmet and probably clothing such as gloves, high visibility wear and possibly a suitable jacket. Before attending CBT however, it is advisable to check with your training establishment on the specifics of items that can be hired and those that must be taken along with the candidate. Come as prepared as possible with clothing that will keep you dry and warm and with a sturdy pair of boots that cover the ankles.